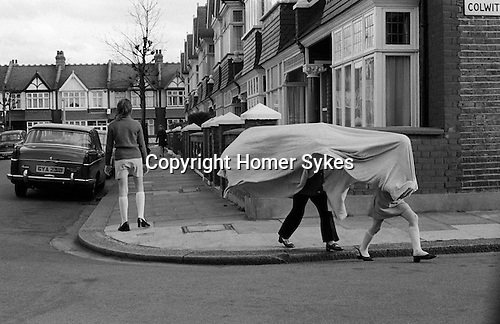 Children playing in a suburban street, Wandsworth London 1970s. Children playing in the Colwith Road, London W6. New caption. The correct location is Fulham London. 1970. Children playing in the Colwith Road, London W6.